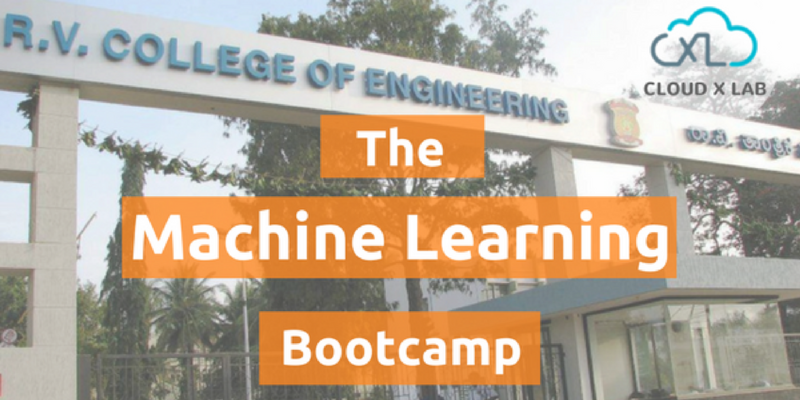 Our past two Bootcamp on Machine Learning at National Singapore University and RV College of Engineering were very interesting and all the attendees found it very useful. These feedbacks prompted us to have more Bootcamps like these. Thanks to Prof. Alankar, who invited us to conduct yet another Machine Learning Bootcamp at Indian Institute of Technology, Bombay. Before we move on to the details of Bootcamp, let us give you a brief introduction to Prof. Alankar. He is an Assistant Professor at IIT Bombay in Mechanical Engineering Department and works in the area of Multiscale Modeling of Deformation. He is a graduate of IIT Roorkee, holds a masters degree from University of British Columbia (Canada) and doctoral degree from Washington State University (USA). He has previously worked at Max-Planck Institute (Germany), Los Alamos National Laboratory (USA) and Modumetal, Inc (USA). 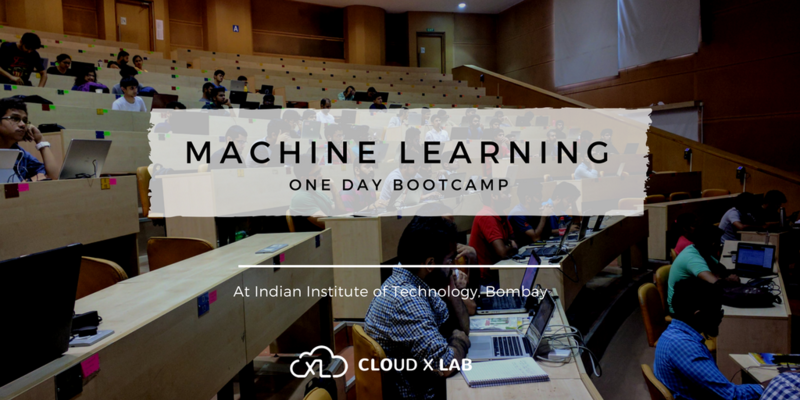 So it all happened on Mar 17 where Machine Learning enthusiasts, which includes professors and students from every branch of IIT, gathered to attend the one day workshop on Machine Learning. The presenter was none other than Mr. Sandeep Giri, who has over 15 years of experience in the domain of Machine learning and Big Data technologies. He has worked in companies like Amazon, InMobi, and D. E. Shaw. In this post, we will show you how you can install Hortonworks Data Platform on AWS. We start with three machines. We could install Hadoop on these machines by manually downloading and configuring them, but that’s very insufficient. So either we could use Cloudera manager or Ambari. In this tutorial, we are going to use Ambari. On the first machine, we are going to install the Ambari server. For that, we need to buy these three instances at Amazon and we will follow the Ambari guidelines. Ambari will then install all the components that are required in other two machines. Please note, we will use 16 GB ram machines so that installation goes smoothly. Cloudxlab has conducted many successful online events on Machine Learning and Big Data, for it is relatively easy to attend so many attendees simultaneously. Furthermore, it eliminates the need for a tiring visit to the event location. One can simply log in from the comfort of one’s house and start learning. Sure, online events have their own perks. But it hasn’t stopped us to conduct offline events. Our Machine Learning session at R.V College of engineering was one such successful example. 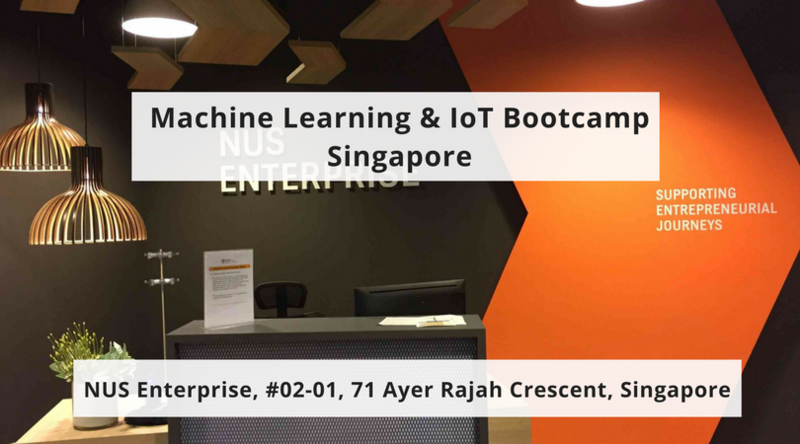 This time, we wanted to conduct a little bigger event, therefore Cloudxlab joined hands together with IOTSG and National Singapore university, enterprise to organize another successful Machine Learning Bootcamp. 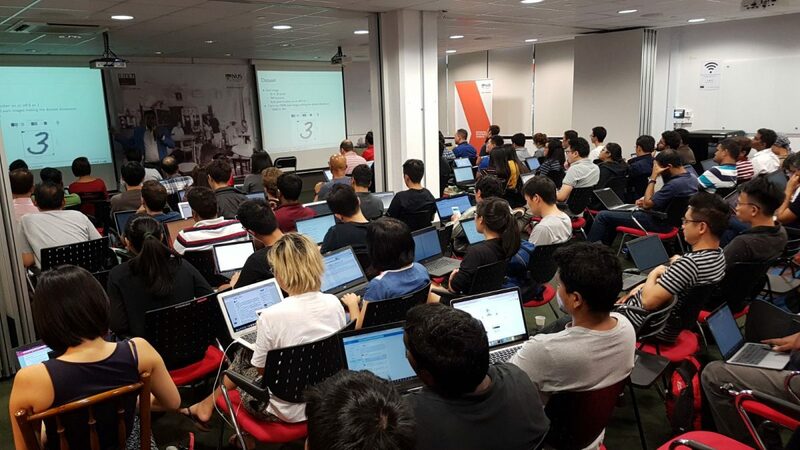 CloudxLab was organizing the Machine learning Bootcamp for the first time in Singapore. To be frank, we were a little nervous as we did not know how welcoming the country is. But all our minor doubts were cleared once we experienced the warm welcome from everyone there. So much so that we would like to do one more Bootcamp in Singapore in near future. National Singapore University was very cooperative in helping us to organize the Bootcamp in their campus. Have you ever wondered how you can apply various Machine Learning and IOT techniques for everyday business problems? Or, are you someone who has heard of Machine Learning but couldn’t get a chance to dig a little deeper? If your answer is Yes, then you’ve come to the right place. Cloudxlab is conducting a Machine Learning & IoT Bootcamp in Singapore. An exposure to Machine Learning using Python to analyze, draw intelligence and build powerful models using real-world datasets. You’ll also gain the insights to apply data processing and Machine Learning techniques in real time. After completing this workshop, you will be able to build and optimize your own automated classifier to extract insights from real-world data sets. Today, we will not talk tech or discuss our regular tutorials. Instead, we will take you on a different journey – a journey about strength, a journey about hope, and a journey on life. It was a regular working day for us when an email caught our attention. It was from an individual who faced unimaginable hardships in his life but still hopes for a better future by executing his passion for learning. His message was rather long and it clearly showed that he was in desperate need of a higher education. We thought he was a student, and we offered him the student’s discount on one of our self-paced courses on Big Data. But much to our surprise, he was not in a state to pay even the discounted price. We were not clear on why he would be requesting for a free course. 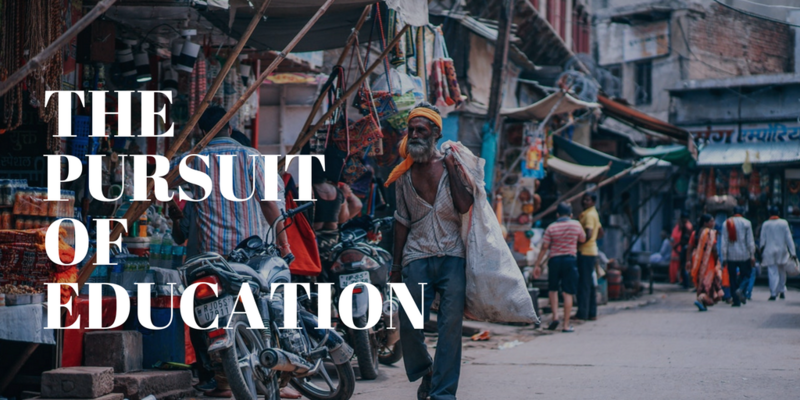 However, we came to know about the kind of hardship that he had recently gone through, and about his real mission to move back to his native place and help poor and needy students by providing free education. He was a Rohingya refugee and had lost his entire family in the recent clashes of Myanmar. He managed to survive the traumatic ordeal but thinking of a new life was more of an impossible dream for him. However, he stepped up and decided to move on with his life. He wanted to continue his education, and therefore, started to look out for a Big Data course that he could do for free because of his terrible financial crisis. He came across CloudxLab and got in touch with us explaining his situation. He also mentioned that he wanted to help the needy back in his country for which he needed to go through the course. We were much in awe of this person’s strength of mind. He came across as an epitome of strength who is ruthlessly following his dream despite all odds and ordeals. I can’t explain my feelings in words how much happy I am now. You are an angel for me who help me to stand on my feet. Sir thank you for believing in me and giving me a chance to continue my dream. I promise I will do my best and complete the course as fast as I can. Thank you. This is probably our biggest achievement as a team. We salute this individual for his unthinkable strength in facing such a catastrophe in his life while nurturing a selfless desire to help others. We wish him good days ahead and hope that he completes his education and embarks on the journey to help his people. For better understanding, do hands-on with this tutorial. We’ve made this post in such a way that the reader will find easy to follow the tutorial with hands-on. Scala is a modern multi-paradigm programming language designed to express common programming patterns in a concise, elegant, and type-safe way. It is a statically typed language. Which means it does type checking at compile-time as opposed to run-time. Let me give you an example to better understand this concept. When we deploy jobs which will run for hours in production, we do not want to discover midway that the code has unexpected runtime errors. With Scala, you can be sure that your code will not give you unexpected errors while running in production. Since Scala is statically typed we get performance and speed over dynamic languages. 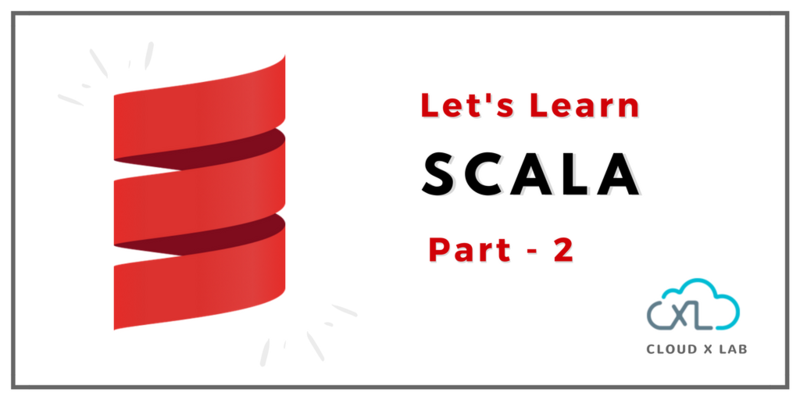 Unlike Java, in Scala, we do not have to write quite as much code to perform simple tasks and its syntax is very similar to other data-centric languages. You could say that Scala is the modified version of Java with less boilerplate code. In the Part-1 we learned the following topics on Linux. 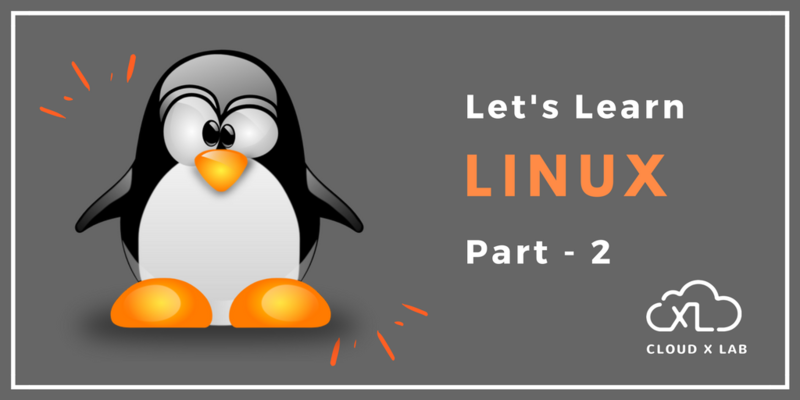 Keeping up the same pace, we will learn the following topics in the 2nd part of the Linux series. Note: In Unix, the extension doesn’t dictate the program to be used while executing a script. It is the first line of the script that would dictate which program to use. In the example above, the program is “/bin/bash” which is a Unix shell. 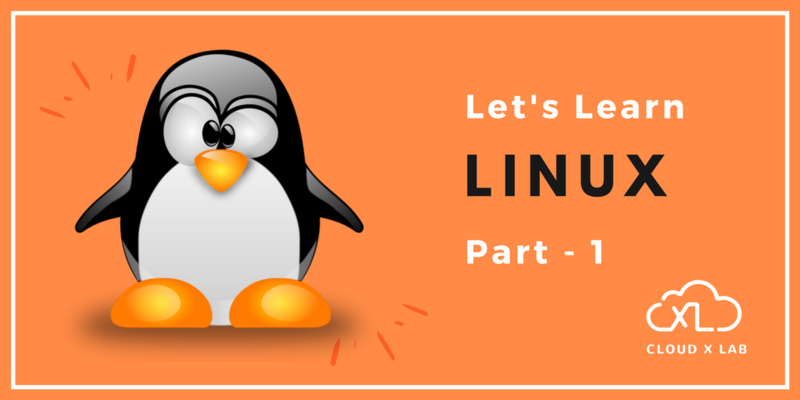 We have started this series of tutorials for Linux which is divided into two blog posts. Each one of them will cover basic concepts with practical examples. Also, we have provided the quiz on some of the topics that you can attend for free. Linux is a Unix like operating system. It is open source and free. We might sometimes use the word “Unix” instead of Linux. A user can interact with Linux either using a ‘graphical interface’ or using the ‘command line interface’. Learning to use the command line interface has a bigger learning curve than the graphical interface but the former can be used to automate very easily. Also, most of the server side work is generally done using the command line interface. A user executes programs. AngryBird is a program that gets executed by the kernel, for example. When a program is launched, it creates processes. Program or process will be used interchangeably. A user interacts with the Kernel via the Shell. The console as opened in the previous slide is the shell. A user writes instructions in the shell to execute commands. Shell is also a program that keeps asking you to type the name of other programs to run. CloudxLab has hosted several webinars in the past and all of them have been successful. But this time we thought to try something different. So, we all sat together and decided to do an offline meetup for Machine Learning. Though we had done some in the past, the engagement and interaction that one can get in the online webinar are not comparable. Anyhow, we then got in touch with Drupal Bangalore and they were having this event in R. V College of engineering. And one of the topics was Introduction to Machine Learning. We found this a good opportunity to bring our knowledge in the offline circle too. So it all happened on Nov 17 where Machine Learning enthusiasts gathered to attend the one day workshop on Machine Learning. The presenter was none other than Mr. Sandeep Giri, who has over 15 years of experience in the domain of Machine learning and Big Data technologies. He has worked in companies like Amazon, InMobi, and D. E. Shaw.